Mini books include 8 pages to color. 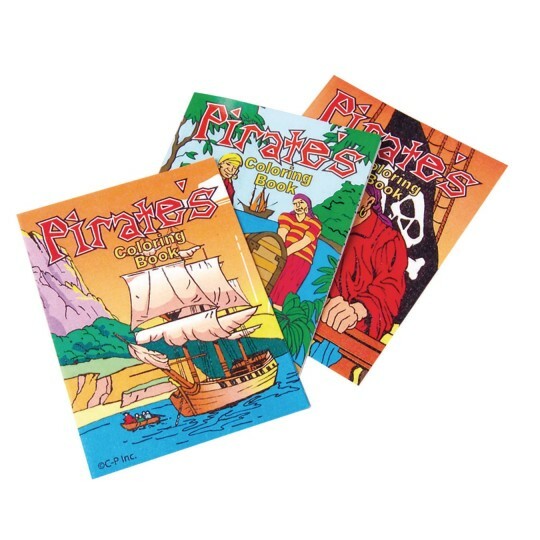 I bought these coloring books as a party favor for my twins' pirate party. I obviously did not assess the measurement of the books... I expected true size coloring books and was sent a packet of very small ones that were not exciting. Too small for a little kids enjoyment - also poorly put together. Merchant response: Thank you for your review. We have updated the online description of this product to provide more detail.